Why don’t home buyers always choose the best Realtor or Home Inspector? The number of conversations where home buyers voice their dissatisfaction with their choice in realtor is growing. A component of these conversations is that realtors who are not focused on customer service don’t show up to the home inspection with their clients. This allows home buyers to talk more openly about their experience. I have also had more than a few people tell me their story about a bad home inspection. Which begs the question: Why aren’t home buyers always choosing the best realtor or home inspector? A helpful tool in answering this important question is by understanding a home buyer’s need for both Customer Experience and User Experience. I found myself questioning the brand integrity of this bank recently when they didn’t meet my expectations of recent online banking updates. Online banking was shut down over a weekend to enhance a system that could have easily have been built in the 1990’s. In order to view a picture of a check for example, a click is required on the check number.. WAIT a few seconds for a second screen to appear, a click on the option to view the check is required and then another click on the View button is required.. (don’t give up yet) WAITING for third screen to appear and magically the image appears! You can agree with me that the multiple clicks and waiting for multiple screens to populate is far beyond magic today – very poor User Service. So, the updates to this online banking system only included a collage of aesthetic alterations to the front page of the website with a few newly colored buttons within the online system. The consequences of their recent updates, for the user, has netted more time and effort required to use a system that was dis-jointed to begin with. In fact, not only has my auto password log-in been disabled, there are now an additional two screens asking for ID then ID plus password required before I even begin to answer security questions. The lack of focus on User Experience is in direct contradiction to a bank that prides itself on service. The updates had the impression of being self-serving. The bank has a nice, new shiny website to be proud of! And not only do I consider their sub-par, I am now questioning the integrity of their brand! Providing the best possible service in today’s world can be easier today with advanced technology, but it has to include a focus on User Experience! This arena of User Experience is where I see the best realtors losing market share. 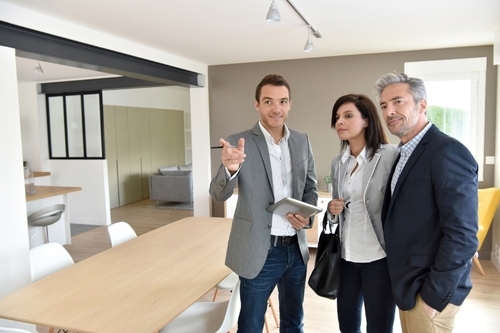 The best realtors have been primarily focused on Customer Experience (keeping the client’s best interests as the primary concern) possibly even avoiding fancy tech upgrades because it is represents the antithesis of their core values, self-promotion. Couple that attitude with a new market of home buyers who appear to be replacing Customer Experience with User Experience and you have a recipe for disaster. There are a couple lessons here: technological advance without a focus on User Experience is self-promotion; tunnel vision on Customer Service at the detriment of User Experience is perceived by the market today as not trust-worthy. In order to stay competitive in this market, overly saturated with service providers (newly licensed realtors and inspectors), educating clients on your competitive advantages providing both excellent Customer Experience and User Experience is paramount. Magnolia for example is focusing on better User Experience for realtors by providing a phone app for scheduling (with the ability to review schedule openings and reserve a spot, while verify the time) and a software program included to automatically create a repair addendum directly from the report. However, forcing potential home buyers to read as opposed to watching videos of the owner or employees talking about our services may give the impression that we don’t care about User Experience. We all have room for improvement! Promoting your User Experience advantage is a difficult topic, to be covered in the next blog!